Every defensive driving course will tell you the first thing to do when entering a vehicle is to fasten the shoulder harness and seat belt. It is perhaps the most obvious of any vehicle's safety features. You are also probably aware that your car likely has airbags for your protection as well. But your vehicle is full of features that you may not even think of being there for safety purposes. Here is a list of safety features you probably take for granted. 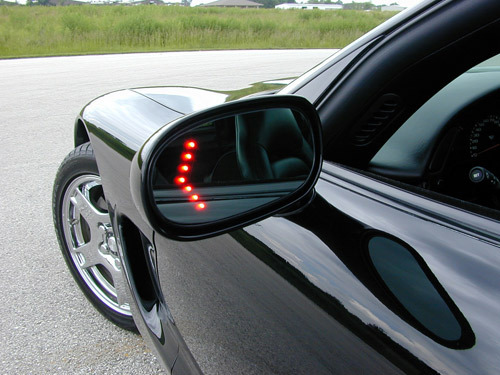 Turn signals give other drivers an indication of your intention to turn or change lanes. They are often overlooked and too often under-used, but an important key for defensive driving. Because they automatically display, we give them little thought. Brake lights warn drivers following us that we are slowing down. Like brake lights we take back-up lights for granted because they go on automatically. They warn drivers and pedestrians that our vehicle is in reverse gear. Padded Steering Wheels and Dash Boards. Today we take padded steering wheels and softer dash boards for granted. It was just a few decades ago they were both made of much harder, and much less safe, materials. Today’s bumpers are meant to withstand the impact of a low speed collisions that meet Federal standards. We don't even give them a second thought. What could be a better piece of safety gear than something that can help you see better? We rarely consider them a safety feature however. In any vehicle you are surrounded by safety glass that is constructed to shatter in a large piece rather than break into potentially dangerous shards. Safety glass has been a part of automobiles so long most take it for granted. These safety features help us see what's behind us. Defensive driving courses always suggest checking your rear view mirror before making a move. A vehicle's horn may be its most simple safety device that is taken for granted. It can warn both pedestrians and other drivers of your approach, or warn drivers that they may be backing into you. Every time you enter you vehicle, you are surrounded by safety equipment you take for granted. Like you were taught in your drivers ed course, use them all properly to keep you and your passengers safe.